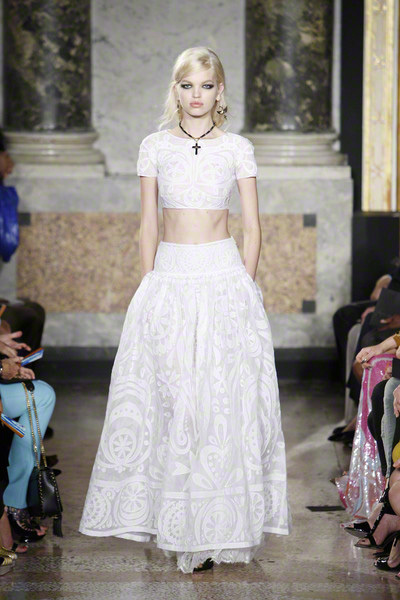 Girls, you better start working on your abs ‘cause the cropped tops trend is here to stay. 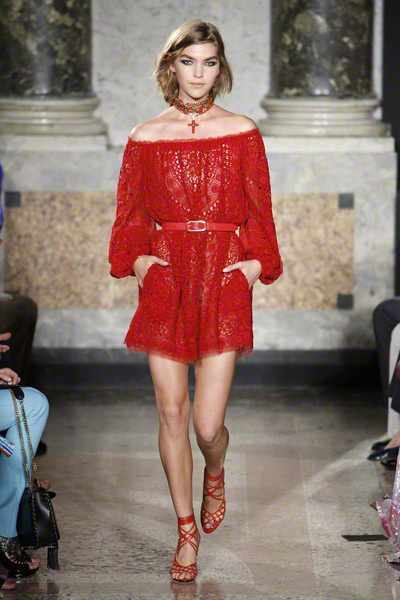 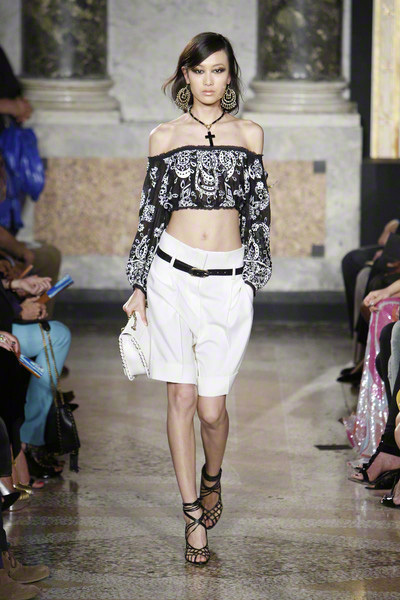 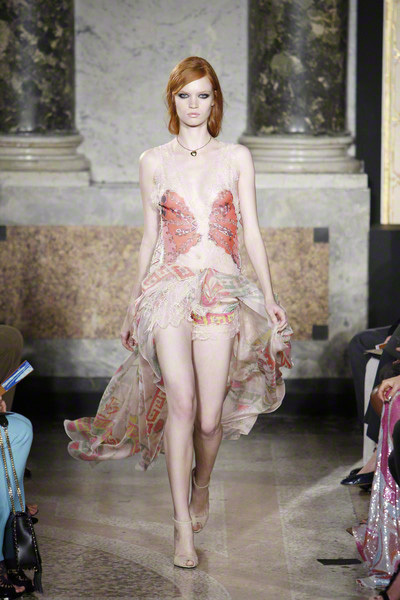 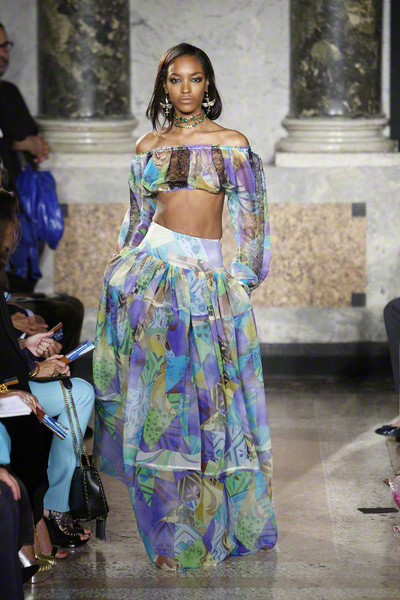 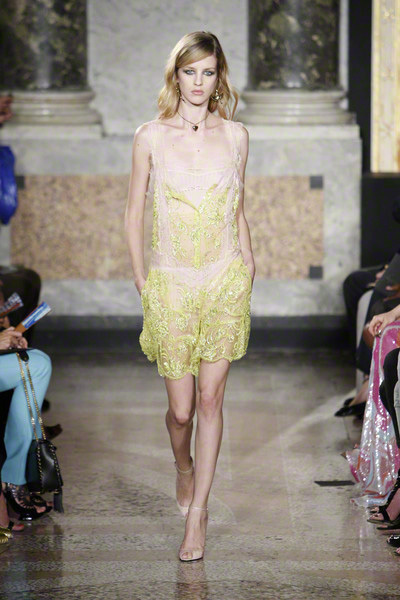 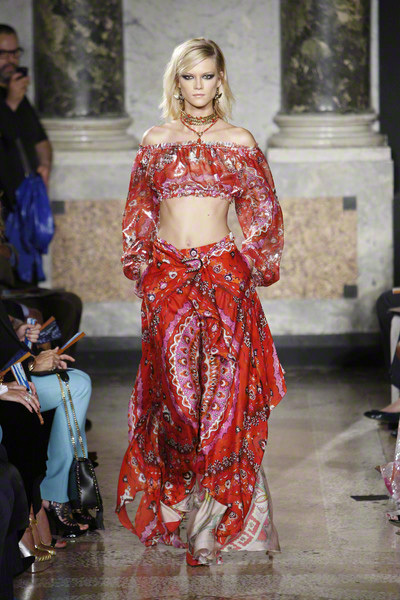 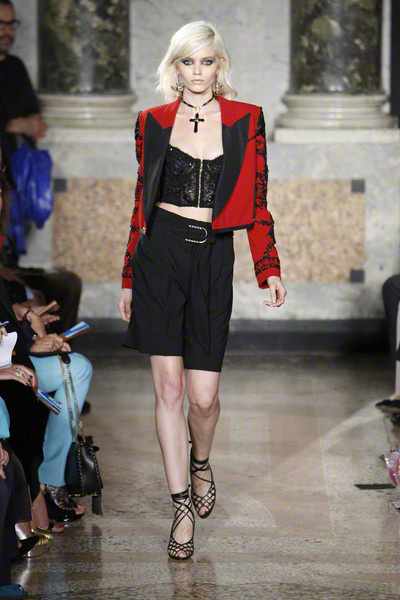 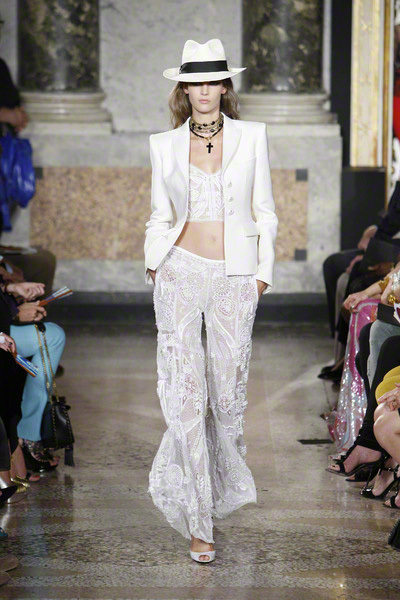 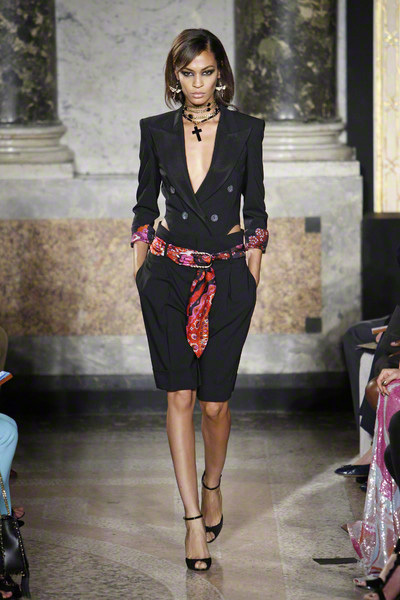 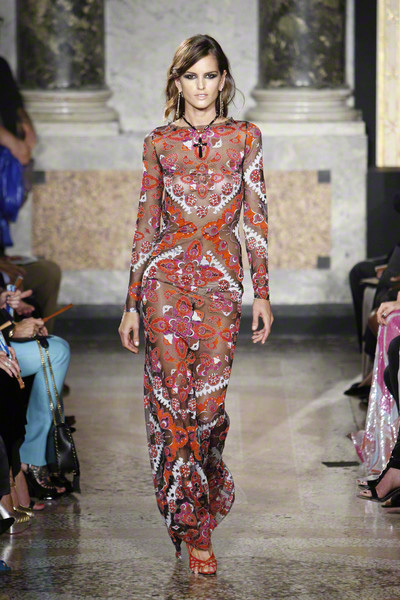 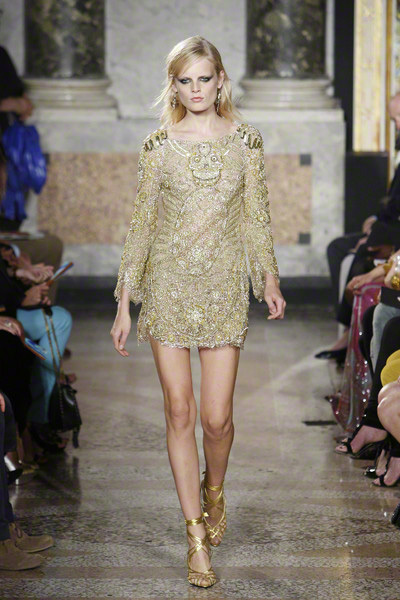 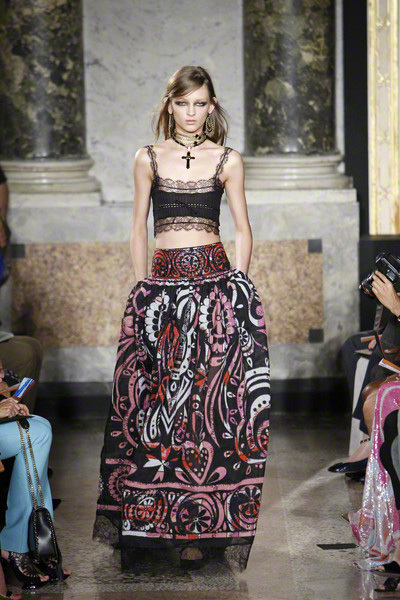 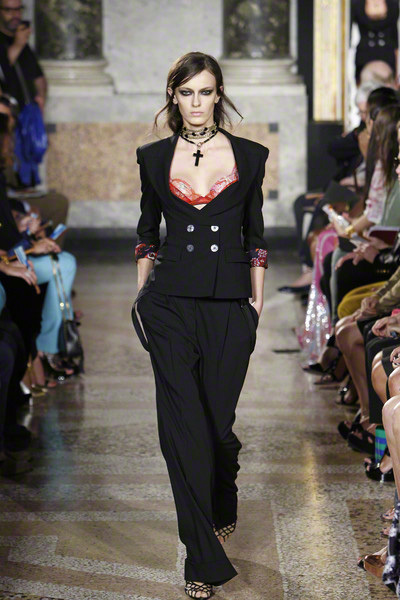 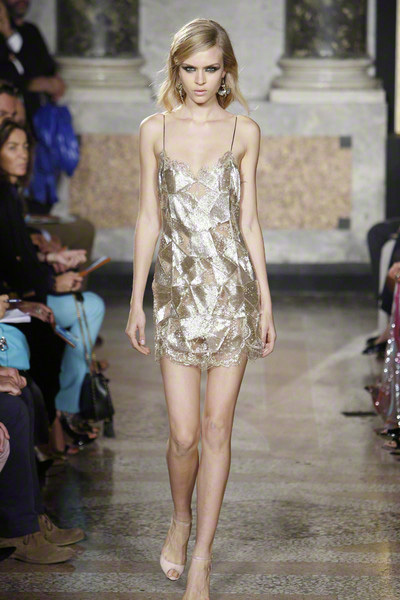 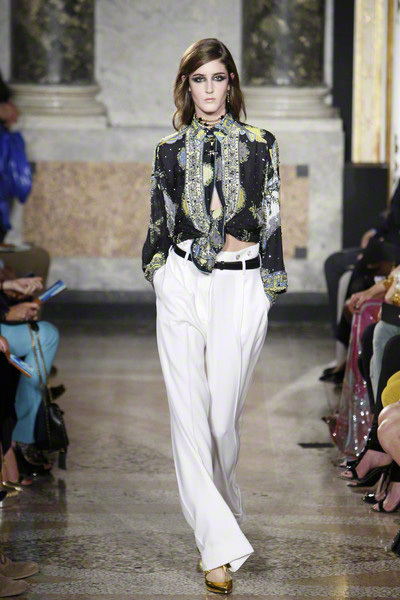 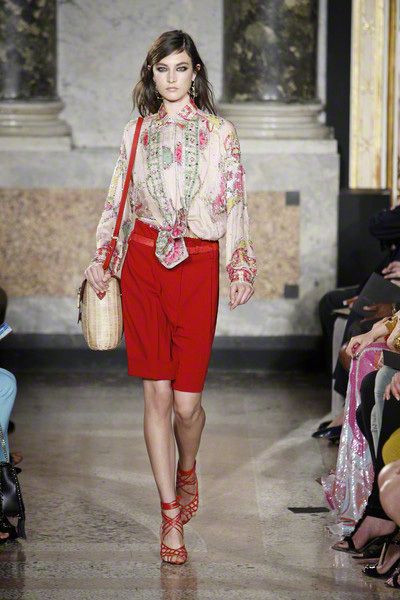 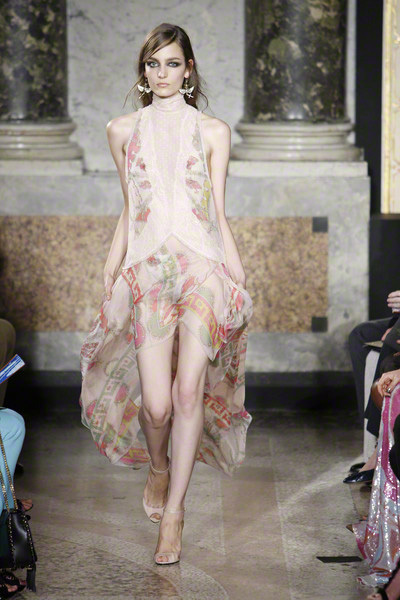 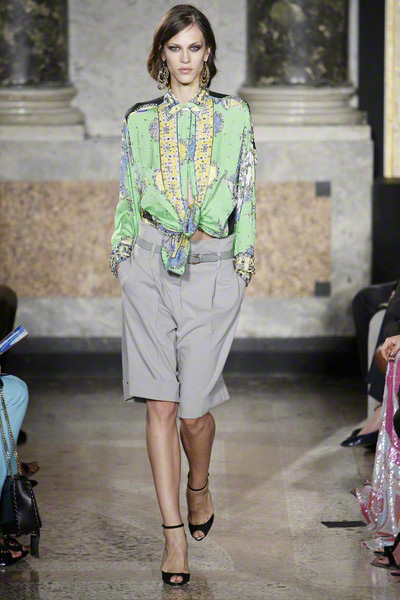 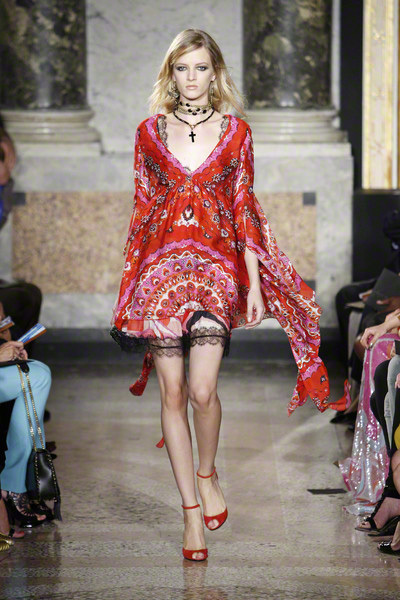 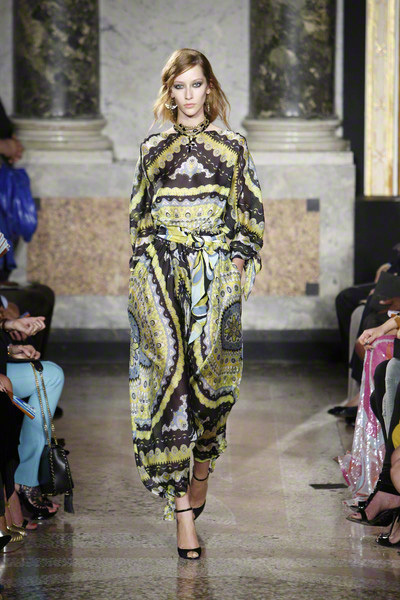 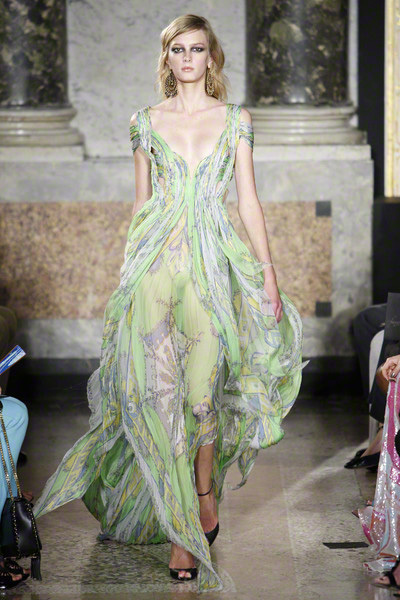 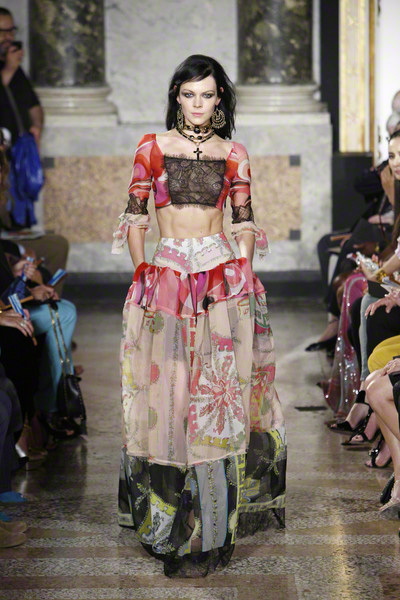 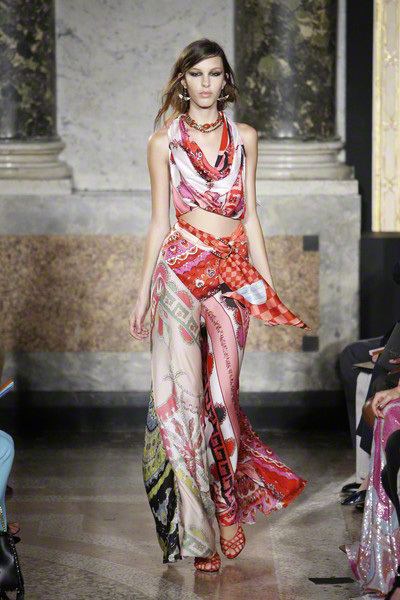 After having seen it at Prada, Versace and Preen, it was a big hit at Emilio Pucci today too. 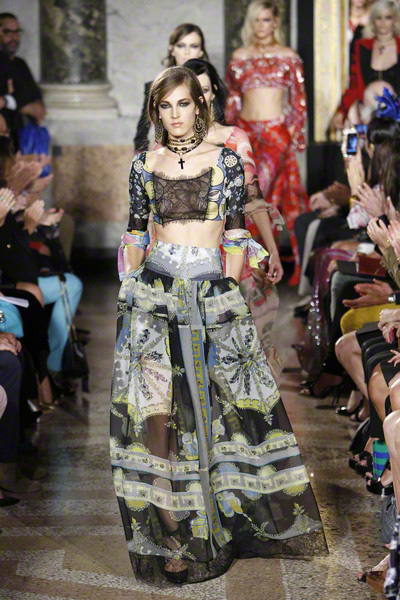 Gypsy looking girls wore them with patchwork maxi skirts and lots of jewelry. 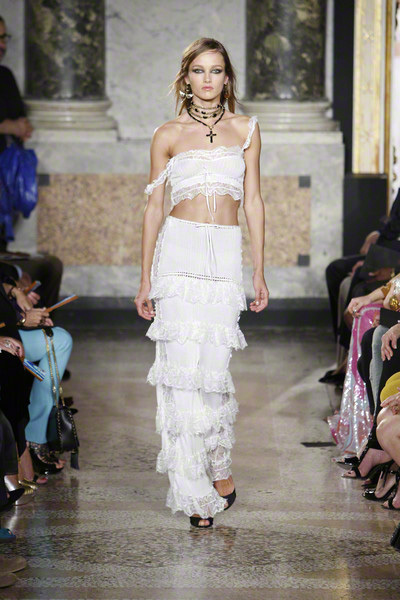 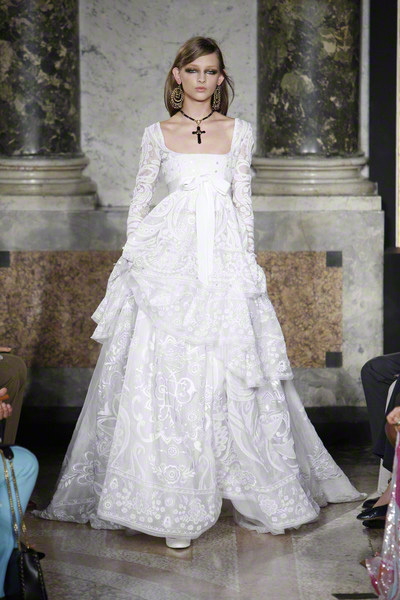 With lace fabric on the front they were a bit on the edgy side, but the real Pucci girls will definitely find a way to work with that. 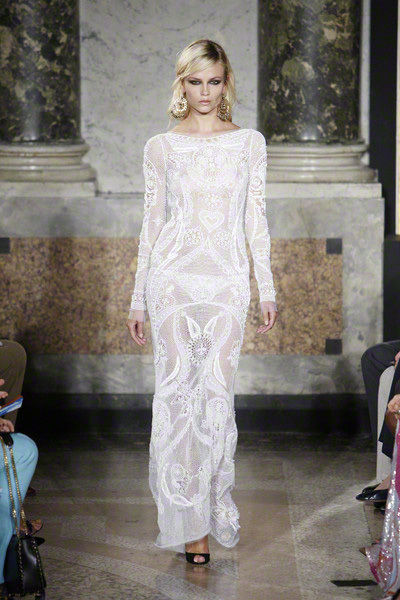 The rest of the collection was kinda risqué too with lots of sheer and lace parts. 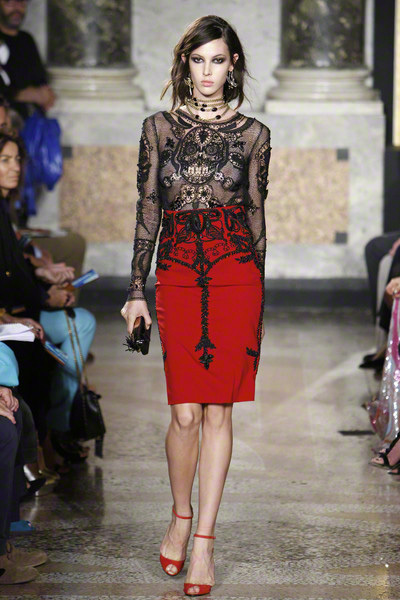 Like the red and pink printed sheer dress, which left nothing to the imagination. 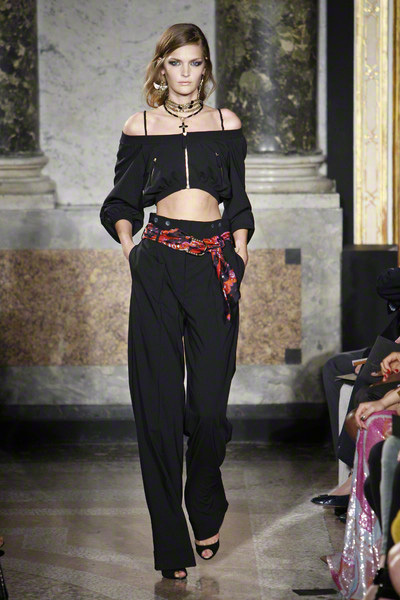 Or the black mesh tunic worn by Melissa Tammerijn, which gave everything away. 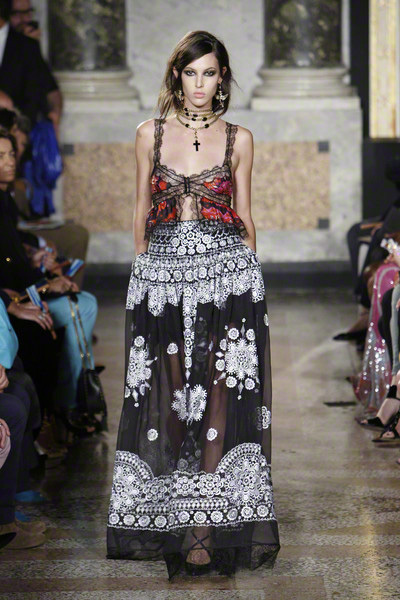 Not to mention the revealing black lace skirt and cropped top, which Gwyneth Paltrow was able to pull off on the red carpet earlier this week. 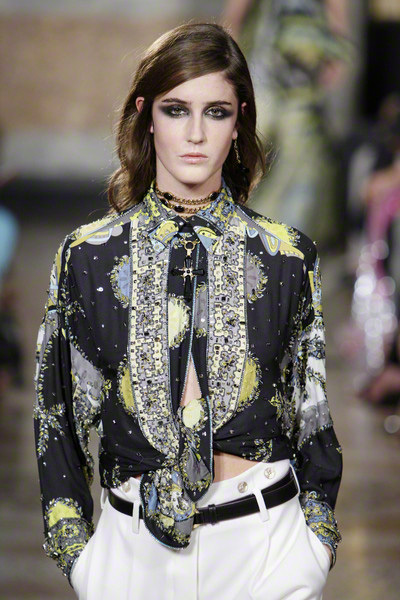 Yet despite the collection being pretty raunchy; the clothes looked beautiful. 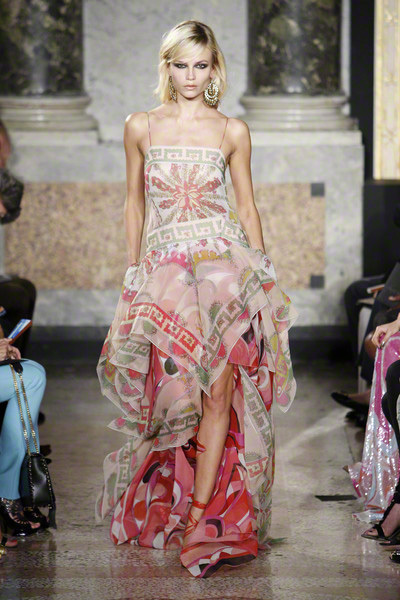 Especially the pastel colored prints Dundas used on several floor-sweeping designs were to die for. 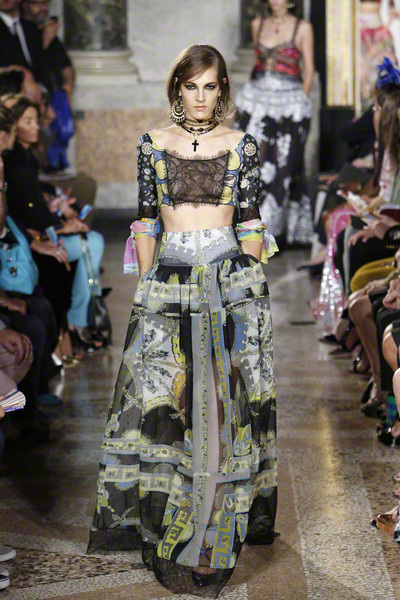 And after we’ve created our very own six pack we sure will be able to come up with some good underwear solutions for those incredible see-through pieces of Pucci.